Medical malpractice lawsuits, or the lack thereof, is what stood out in November. There were only 21 different medical malpractice lawsuits filed in Maryland in November. The number seems smaller than one might otherwise guess. Well known defendants include Frederick Memorial Hospital, Northwest Hospital Center, Emergency Medicine Associates, PA, Franklin Square Hospital, Peninsula Regional Medical Center, St. Joseph Medical Center, and Greater Baltimore Medical Center. One major reason this number is underreported is because in Prince George’s and Montgomery County, lawsuits are filed for medical malpractice or medical negligence that are not specifically listed as such. These suits are labeled only “civil” or “other civil.” In addition, Baltimore City med mal case are sometimes described as “other tort.” The 21 suits figure represents all lawsuits with a case type of “medical malpractice” according to the Maryland Judiciary. Well known med mal lawyers filing November suits include Henry Dugan and Alison Kohler of Dugan Babij, Andy Slutkin and Jamison White of Silverman Thompson Slutkin and White, Jon Schochor and Scott Kurlander of Schochor Federico and Staton and Sloane Fish and her associate Heather Rice. Law firms filing multiple suits in Nov include Cardaro and Peek and Salsbury, Bekman. Eleven of the 21 suits were filed in Baltimore County Circuit Court in Towson. In total, including double counting of suits filed by two or more lawyers, Maryland Circuit Courts saw 7062 cases filed in November. Unfortunately, in this still unhealthy economy, real estate foreclosures represented the most common kind of filing. There were more than 1500 foreclosure cases. Family law matters made up more, on the whole, however, family law is a broad category encompassing divorce, custody, modification, paternity, interstate issues, child support issues, domestic violence, and more. 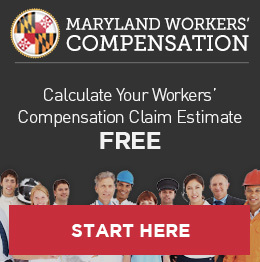 Maryland workers’ compensation lawyers filed more than 182 workers’ compensation appeals from the Maryland Workers’ Compensation Commission. Many of these cases were from the list of Maryland comp lawyers found here. It’s more than 182 cases because, again, PG and Montgomery Counties do not provide a great deal of specificity of the exact suits being filed. For instance, a well-known workers’ comp lawyer in Greenbelt, Ben Boscolo filed more than a half dozen (probable) workers’ compensation appeals himself. These are not part of the 182 because they are listed as other civil. 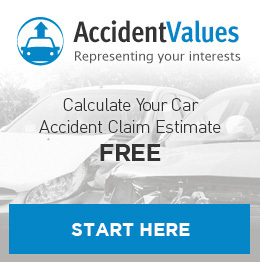 Nearly 200 car accident cases were filed in the month in Circuit Courts. Countless more were filed in district courts throughout the state. Stuart Arnovits, Tim Capurso, David Jackson, Thomas Kemp, Isaac Klein, Darren Margolis, Michael Schreyer, Damon Trazzi, and Alexander Williams are among the lawyers responsible for three or more of the suits.